I didn't read the article, but I have news for Alice. Jesus is risen. It's futile to dig for him. 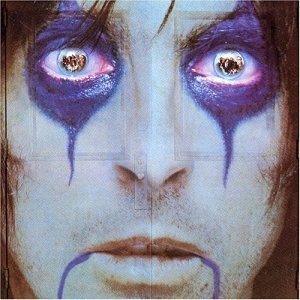 You did'nt know Alice Cooper is a Christian? If you like that one,you'll probably like this one too. Alice Cooper talks about his faith in Christianity and his religious talks with the Satanic rocker Marilyn Manson. I like Megadeth also and I've read that book. Prince Of Darkness. For you. My dad was the same way. Awful drunk almost every Friday. He'd stumble home, sometimes crashing his truck, and get in an argument with my mom. I really didn't know how much that affected me until I got older. I never really dealt with it. I just tried to brush it aside. my dad was an angry drunk... tho actually more angry sober?